There's no doubt that Shadow Scale is one of the best books I've read this year. It has a depth that you can sense even at the surface; while reading, I consistently found myself smiling at Rachel Hartman's use of metaphors but even if you don't read with metaphors in mind, her use and development of symbols, her themes and characters and plot arcs - they're all so wonderfully worked into the story. Essentially I know that I'm in the hands of a master storyteller and I think that reading at a surface -- or deeper -- level highlights this fact. While reading, I also found myself enamored of the discussion between logic and emotion -- relevant to how humans and dragons govern themselves. There have been many young adult books that to me, never seem to get farther than saying something akin to "emotion is important to acknoledge," and I never quite understand why emotion crops up so frequently in YA books as a theme/discussion topic. The intensity of youth? None (to me) have transcended such discussion except for Seraphina and Shadow Scale. 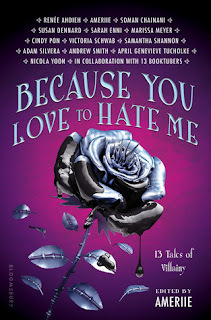 I LOVE what Rachel Hartman has done here and quite honestly there are no other YA books out there like hers. I was trying to think of comparisons and I couldn't come up with many. If you liked the religious elements on the Grisha trilogy and wanted them to be more expanded upon; the character focus / hero's journey epic of Kristin Cashore's novels; the older fantasy writing styles akin to Robin McKinley's The Hero and the Crown but in a first person perspective you should try out Seraphina and Shadow Scale. If you are a fan of high fantasy you should DEFINITELY read these books. That's not to say Shadow Scale didn't have its flaws. I put it down several times in the beginning because I didn't feel a sense of urgency or maybe connection; that came along with the plot twists. Seraphina's voice is very dry and sometimes distant, which makes it harder for me to connect even in this first person narrative, and yet aside from my moments of silliness, I think that I'm a lot like her -- which you would think would help connect me to the story, but I wonder if that contributed to my boredom at the beginning. I also misjudged the need to reread Seraphina before reading this book. I read the Recaptains recap and Shadow Scale starts with a recap of Seraphina, but I think that rereading would have definitely helped me connect to the story more. Despite that paragraph, there's no doubt in my mind that Shadow Scale being a wonderfully written masterpiece. Highly recommended to any and all who are interested in Seraphina / high fantasy and/or loved Seraphina. GAH great review! 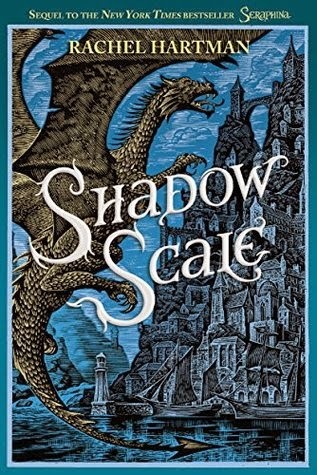 You captured all of the things I loved about Seraphina, which means I am absolutely going to crazy-fangirl over Shadow Scale. Seriously, having The Orphan Queen, Winner's Crime, and Shadow Scale arrive on my doorstep on the same freaking day was not fair. :P But I'm extra excited to read it now! I'm glad that she manages to keep all of the characters real and relatable despite the much more sprawling adventure narrative. That's always a huge challenge. I really want to read this series!I love books about dragons,though I haven't read many,other than Eragon and Firelight. I hope I'll get a chance to read Seraphina soon. Yes! Definitely try out Seraphina. There aren't that many books on dragons compared to other paranormal creatures like werewolves and vampires. Another book coming out soon with dragons is The Girl at Midnight, if you're interested :). Hahahahaha so many books on the same day! That's like me just yesterday after returning from my trip. Let me know how Orphan Queen goes! I've heard a lot of good things and I did love Incarnate so, I've def. been considering getting it (I was so sad that the book release party was right when I left :(). "I'm glad that she manages to keep all of the characters real and relatable despite the much more sprawling adventure narrative. That's always a huge challenge." Can't wait to discuss! And I do have gchat! at the email that our current thread is at (re: your email), and I'll reply soon hopefully! I finally settled on Orphan Queen. Finished it last night. I liked the writing better in Incarnate, but I still loved it so very much. Except the ending made me freak out because it's kind of abrupt. No fair. Get it! This might actually be a time when I read the novellas, because I cannot wait until Mirror King. Huzzah! I am mostly on gchat at my regular email, which I will send you. I'll be reading Crimson Bound right now because I got it on a tour, but Shadow Scale will be soon. And Winner's Crime. Which I already started and want to hug. I didn't enjoy this one as much as Seraphina because I found the plot a bit slow and repetitive. But, I agree that the worldbuilding is phenomenal. I liked Seraphina, but I didn't love it. The whole garden thing…just bored me silly for some reason and there's no way I could reread it. I even read the recaptains because I was thinking of getting Shadow Scale and I was so confused after reading it. All those names! I agree about not enjoying it as much as Seraphina and the plot being slow. I need to reread Seraphina to remember more clearly my impressions, but Shadow Scale's 600+ page length was definitely felt.